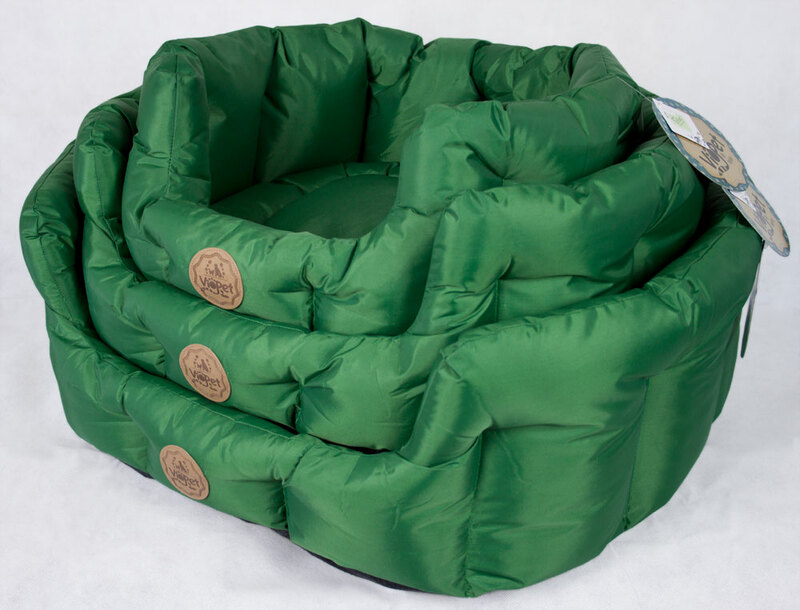 Please note: unfortunately we aren't able to restock the large size at the moment but we do have larger sizes available in our Stewie Snuggle bed and Ziggy Zzz bed - take a look! 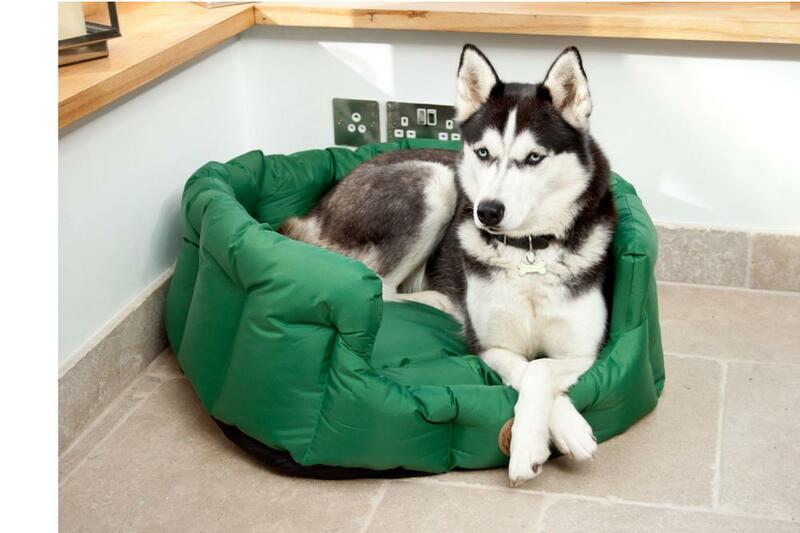 For active, working dogs that love to get their paws dirty; our Stormproof Bed is the ideal retreat for rest and recuperation. 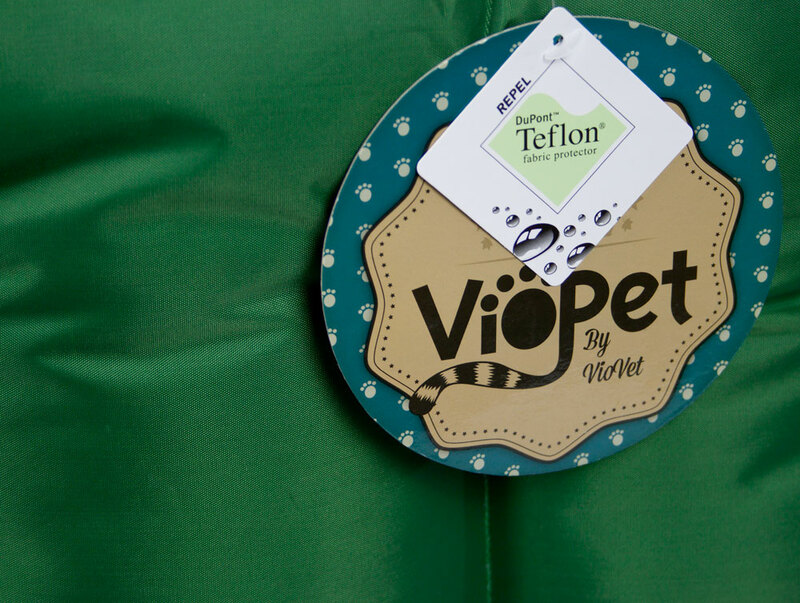 The bed is 100% waterproof and can easily be wiped clean with a wet cloth or hose. 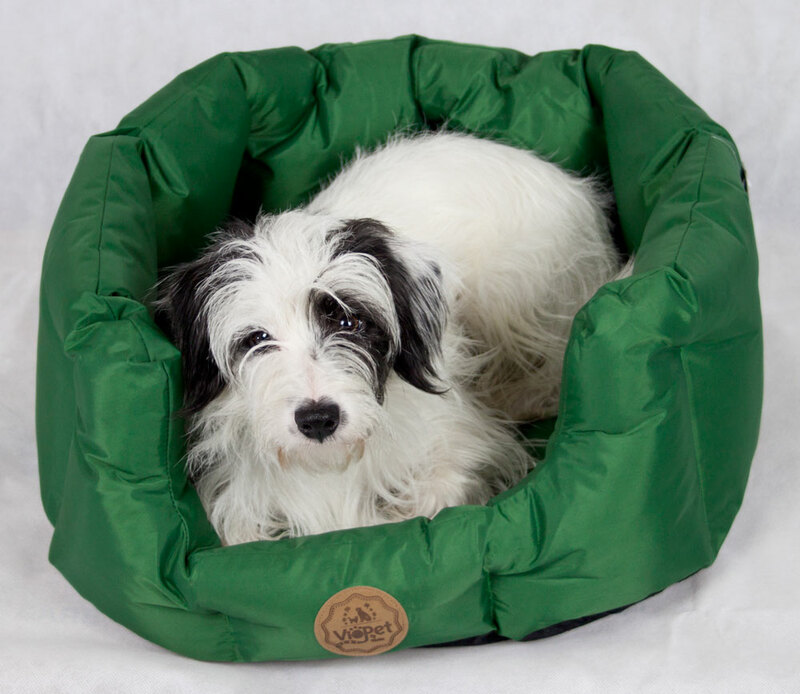 The Stormproof is striking country green in colour and offers a touch of comfort with its reversible fleece cushion. 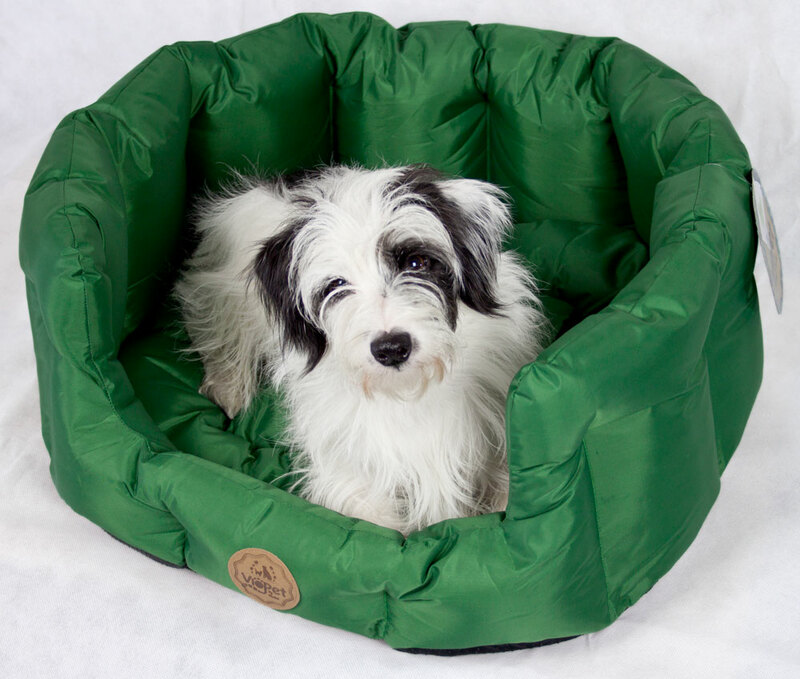 Round in shape with high, bolstered sides to keep out draughts and thick padding throughout, the bed is spacious, functional and will keep your dog well insulated as we head into winter. The Stormproof is hard wearing and is modestly stuffed and stitched to hold its shape, no matter how much your dog shifts around. For lasting quality and guaranteed comfort, look no further! Sizes shown relate to the external dimensions of the beds. Storm is our chatty Husky who loves the rain and has even been known to stay out all night in the snow! When she does come in with muddy paws and soggy coat, her 'Stormproof' bed is the ideal place to dry off and snooze, then all we need do is wipe it clean! 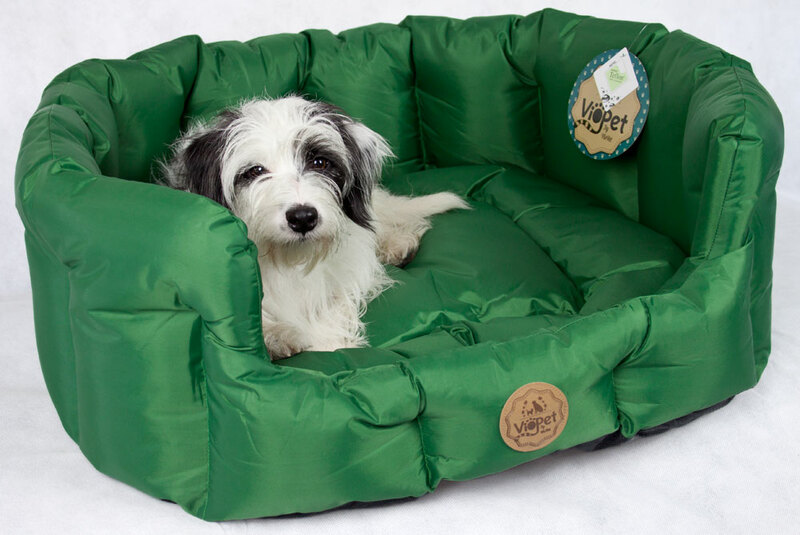 Below are some recent questions we've received regarding VioPet Stormproof Waterproof Dog Bed, including answers from our team. How big is the large bed suitable for? It's difficult to tell if this bed would be big enough for Toby from his description, but I would say that the large 75 x 75cm bed is best suited for dogs who like to curl up. It would be worth measuring roughly how long and wide your dog is when he is curled up. If he takes up about 65x65cm or less then he shouldn't have a problem fitting comfortably in this bed. If he stretches out more than he curls up though, Lola's Lounger is our biggest VioPet bed and he'll have room to sleep however he likes! I hope this helps, and if you have any further questions please get in touch.